Experience the best Gay Hotel in Pattaya at Hotel Baraquda Pattaya. This ideally located boutique hotel in Pattaya is well located near all the excitement and night entertainment provided by the famous BoyzTown as well as all of Pattaya’s shopping, entertainment and beaches. Enter this Gay Hotel in Pattaya and enjoy the unique atmosphere from the lobby to your room. 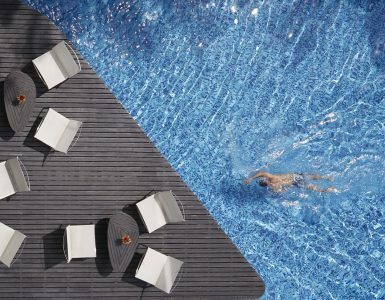 Every aspect of this boutique hotel is designed to mimic the feel of a luxury yacht, such as the deck floor, the hydrodynamic shape of the front desk and even your shower and bed. All the rooms at the Hotel Baraquda Pattaya are well appointed and offer luxury amenities. The unique design, luxury rooms and friendly staff will ensure you have a fantastic stay at Hotel Baraquda Pattaya. Ideally located, near the main shopping centres, bars, clubs and restaurants as well as the famous BoyzTown Pattaya, you’ll never be more than 10 minutes walk away from where you need to be. 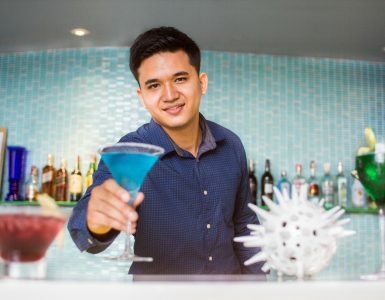 During the day the hotel is easily accessible to Jontiem Beach, Pattaya’s gay beach where you can soak up the sun, have lunch served on the beach and absorb the atmosphere, or relax by our own resort style swimming pool and pool bar. When the sun goes down, and its time to party this Gay Hotel in Pattaya is only moments from Boys Town. Sit back and enjoy a drink at Panorama Pub and watch the crowd go by, or take in a cabaret show at Castro Bar. When it’s time to relax and pamper yourself Nautical Spa at the Hotel Baraquda Pattaya, offering a large range of treatment to rejuvenate and re-energise your mind and soul, ideal after a big night out exploring Pattaya. The spa is located on the ground floor of the hotel next to the swimming pool.